One of my favorite Christmas cookie recipes to make is a Classic Spritz Cookies recipe. This past Christmas when I made these spritz cookies, I checked out all the disks included with my cookie press—hearts, ovals, pinwheels, and flowers! I decided that I needed to make spritz cookies more often than just at Christmas time. I came across this Lemon Cream Cheese Spritz Cookie recipe in Betty Crocker’s Cooky Book, and I knew I had to make them shaped as pretty flowers for Easter. Although these cookies tasted fine, I have to admit that I prefer the Classic Spritz Cookies. I love lemon and cream cheese, but these cookies were not as flavorful as I expected. Also, the dough was not as easy to work as the classic dough. Pressed cookies can be a little tricky. The dough needs to be soft enough to press through the press, but firm enough to hold its shape. It needs to be sticky enough to stick to the baking sheet, but not so sticky that it sticks to the disk. The good news is that once you have your dough perfect, you can press out an entire sheet of cookies in just minutes. The instructions for this spritz recipe said to refrigerate the dough for 30 minutes, which was perfect. But I found that while I had one batch in the oven, the dough warmed up just enough to make the next batch too sticky. Putting the dough-filled cookie press in the refrigerator for a few minutes and then keeping the dough refrigerated between batches solved the problem. It is also very important that you press the cookies onto a clean, cooled cookie sheet. Once you get the hang of it, it's so simple to make LOTS of cookies. This particular recipe makes anywhere from 4 1/2 dozen to 6 dozen cookies depending on the cookie press and disk that is used. 1. Cream together the butter and cream cheese; add sugar and continue to cream until light and fluffy.2. Mix in the egg, lemon juice, and lemon zest and blend until well combined.3. Blend flour and baking powder together, then add to the cream cheese mixture and mix until combined.4. If desired, divide dough and mix in food coloring.5. Chill dough for 30 minutes.6. Preheat oven to 375°F; use a cookie press to press out cookies onto cold, ungreased baking sheet. (Do not use a non-stick baking sheet).7. Decorate cookies with M&M's if desired.8. Bake for 7 - 10 minutes, or until just beginning to brown.9. Let cookies cool on cookie sheet for about 1 minutes, then remove to cooking rack.10. Between batches, be sure to clean cookie sheet and allow it to cool completely before pressing next batch of cookies. If dough becomes too sticky, chill in refrigerator. 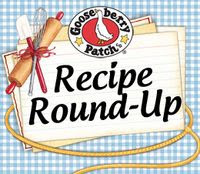 Recipe Adapted Betty Crocker's Cooky Book. These look so cute in the spring colors! I only think of these for Christmas, but they really are good year round! Sorry that the cookie wasn't exactly what you wanted but I think they at least LOOK fantastic and perfect for spring/Easter! These are stunning Jill, I can't imagine a more festive cookie for Easter! Great tips on making these. They are adorable - love the spring colors. I also like to see spritz cookies outside of just Christmas! I made the mistake of showing these to my mother and now she's demanding a batch for herself. These are so pretty, Jill, and perfect for spring! I guess it's like I always say: once you've done it, it becomes easier, like hanging wallpaper! sounds really nice..nice cliks.beautiful presentation. It's a little flower garden on your table! Beautiful cookies. Although they may not have been what you had hoped it's hard to imagine lemon cream cheese cookies not being yummy. These little cookies are so pretty! I love the colors and the m & m centers! These cookies are really adorable! Love the colors. Perfect for spring! Beautiful cookies. Love the colors. I love cream cheese spritz cookies- will have to try this version. They are adorable and so like spring! These are so pretty, Jill! Love the colors!! Hi my dear, just saw these and buzzed them. I think they are so cute for Easter, too bad the didn't taste as good as you hoped. Hope you have a Happy Easter. Oh how I miss my cookie press. These cookies are so cute and festive and I will save this recipe. Hopefully it won't be long before I get another press. Have a great holiday. How colorful and delicate looking are these cookies! I love the way you highlighted the cookie in the first photo (lovely bokeh). Cheers! Nice adaptation of a classic! I look forward to trying to make these! Nice adaptation to a classic! These look and sound fantastic :) I've never made spritz cookies for Xmas so maybe I can make your version instead :) Thanks for sharing! Ah these make me look forward to spring! They look like some amazing Easter treats with some great flavours! That's right! I checked my cookie press and there are flowers. Such a great idea to make Spring flowers that look so pretty. M&M's in the center are cute,too. Sorry they were not your favorite...but boy are they beautiful! 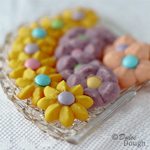 These are adorable springtime cookies. I've never made lemon spritz cookies, but will have to give these a try! This Lemon cream cheese cookies looks delicious and adorable. I love cheese cookies most. Your recipe is so unique and easy to make. I really excited to try this in Christmas.